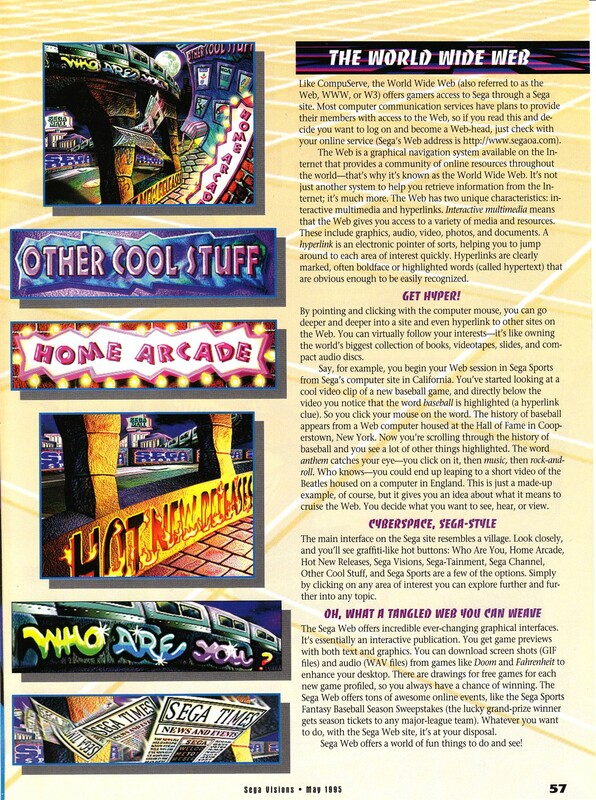 The year is 1995, and the Internet is pretty barren in terms of Sega-related content. 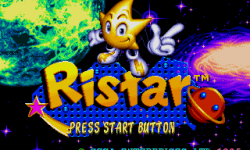 Before there was rat.org, before there were Sega webrings, before there were people who had no idea what the Gopher protocol was online, there were only two real places to be a Sega fan: alt.sega.genesis and rec.games.video.sega. 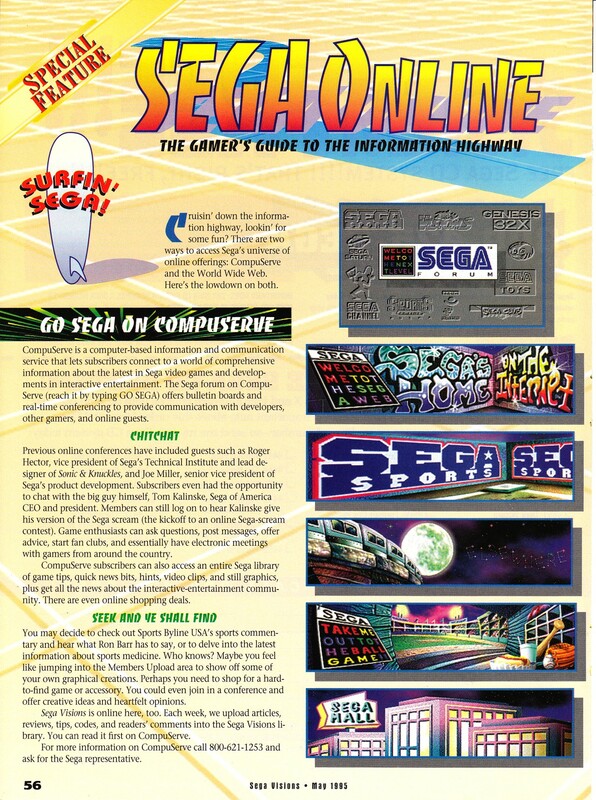 Enter, naturally, segaoa.com—the original official website of Sega of America. By the first time archive.org got around to crawling the site, it was already gone, replaced by a domain purchase parking page. 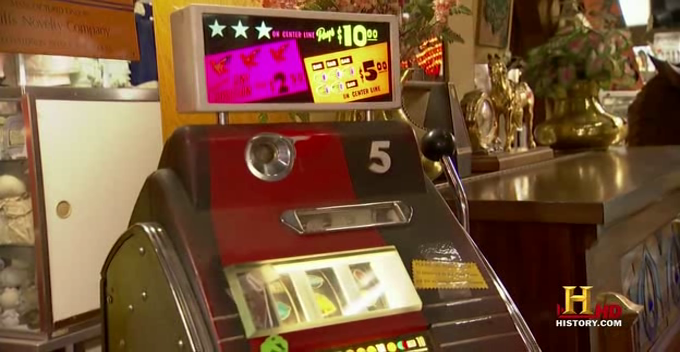 Hey, History Channel: I’m Calling You Out on Sega Slots! Too late, someone already bought it. Ah, I remember Sega Visions. I used to read that magazine all the time when I was a kid. 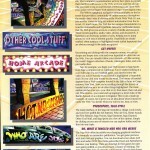 It would have been really neat to see this website back in the day. I never even heard of the internet or world wide web until late 1996. Seems funny today how the article describes how the web essentially works and how to navigate it. 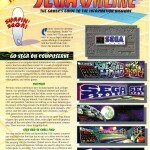 There’s a Sega ad featuring the “new” segaoa.com website in an issue or two of the Sonic the Hedgehog comic as well.